Solar radiation is the most important factor affecting plant growth. Without light plants will not grow. Plants require a very narrow spectrum of solar light to grow. All other light that falls on plants are transformed into heat and has to be removed by the plant which uses up energy. Selecting the right cladding material can reduce unwanted radiation and therefore increase the productivity of photosynthesis and related processes, therefore increasing yields. The only advantage of droplets forming on the inside of the cover materials is it reduces the loss of heat during cold nights. Modern cladding materials have surface active additives which prevents the development of large droplets. These materials allow the smaller droplets to run-off before they are to big thus maintaining the greenhouse effect during the night and maintaining high transmissivity during the day (Geoola, Kashti, et al. 2000). Polyethylene (PE) film is relatively inexpensive and is the most common cladding material used in greenhouses that are climatically controlled. PE film must be UV stabilized otherwise its life expectancy is very short and not worth the price. There has been many new developments in improving PE film. Every year new additives are developed which enhances plant growth and increases the quality of light transmitted. 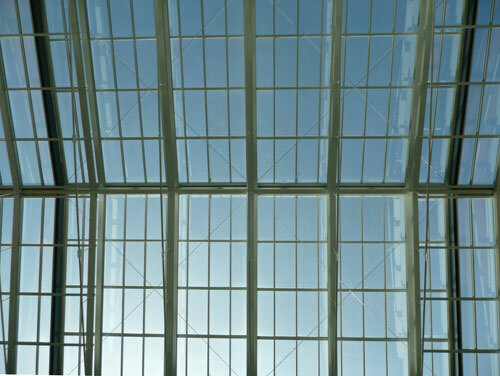 The latest PE films disperse light so effective inside the greenhouse that no shadows form inside. The high dispersion of light increases light falling on leaves and increases yields. Very interesting research was done by Katsoulas, Bartzanas & Kitta. (2012), who found that crops covered with standard polyethylene and anti-drip polyethylene material required much higher amount of fungicides than polyethylene material treated with anti-drip and anti-fog properties. Polycarbonate (PC) is the next best thing after glass. It can withstand some hail, it is flexible so it can easily be designed to fit most greenhouse structures. PC has a high light transmittance, more so than PE film but is much more expensive. However, it lasts three times longer. PC sheets are available in various lengths and forms. Some are clear, resulting in shadows forming on the inside of the greenhouse while others are opaque allowing a high dispersion of light inside the greenhouse. Fibreglass reinforced polyester panels are expensive and not commonly used any more. Compared to PE and PC cladding materials they do not have high light transmittance, which is reduced over time due to UV radiation. 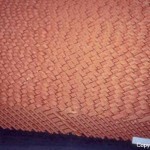 FRP is more ridged than PC or PE and is more prone to damage during a hail storm. Polyvinyl chloride films have high emissivity for long waves. This makes them ideally suited in areas with low temperatures during the night. Polyvinyl chloride film is more expensive than PE film and is not used as much as PE films. Polyvinyl chloride films tend to accumulate dust during dry periods which has to be washed off in order to ensure high transmittance of quality light. So what about shade cloth then? I have discussed only solid film for greenhouses but that does not say many growers cover their structures with shade cloth. In certain climatic conditions shade cloth can actually be better than plastic or glass covering. Obviously it depends on the crop as well so one needs to evaluate your specific situation holistically. Shade cloth does two things very good. It reduces harmful sun radiation, thereby increasing photosynthetic active radiation (PAR) which is really what you want. Secondly it protects the crop against hail and wind. Unfortunately heating is not viable for obvious reasons. Shade cloth is cheap and I always recommend growers that start to use shade cloth first before forking out big bucks for specialized plastic sheets.